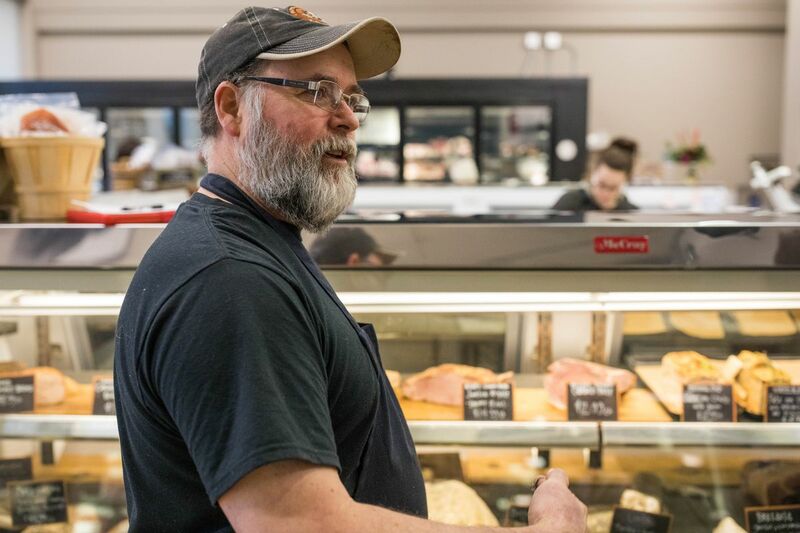 For years, Nate and DeAnn Burris spent almost every weekend during the summer at the South Anchorage Farmers Market, selling a variety of handmade charcuterie and local meat products. Now they've moved across the street into their own brick-and-mortar building. Butcher Block No. 9 and Charcuterie sells everything from spicy coppa and a citrusy cured pork loin called lomo to a beef bresaola seasoned with garlic, coriander, pepper and cinnamon. In the shop, smoked whole turkeys and birch syrup-glazed smoked hams line the shelves along with bacon, and giant jars of lard rendered from locally raised pigs. Freezers line both walls of the brightly lit storefront tucked into a South Anchorage strip mall between a Pita Pit and Brow Chica brow bar. A window behind the counter peeks into a walk-in cooler, where charcuterie in various stages of aging hangs from the ceiling. Pork and beef make up the backbone of the butcher shop, but there's also some veal, quail, rabbit and seafood. The shop stocks local products available every day in a variety of cuts. It's the Anchorage edition of the popular Mat-Valley Meats in Wasilla, which the Burris family also owns. They said part of the reason they set up the Anchorage shop where they did was to keep customers who had started following them at the farmers market. "We wanted to be in this area," Burris said in an interview last week. The shop opened in August. It's named after the couple's nine children, who are between the ages of 30 and 13. They all assist at their family's stores. 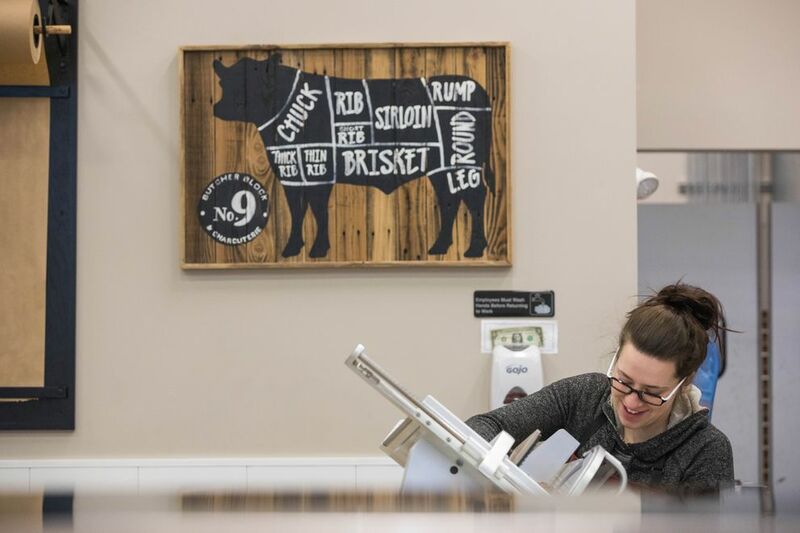 Last week their daughter Colsie Biswell, 25, was helping work the counter, wrapping up cuts of meat and explaining the curing process to customers. Her husband, Michael Biswell, is one of two butchers who run the shop along with her brother Jeremy Burris. In Wasilla, about a third of the Burris family's business is processing wild game. 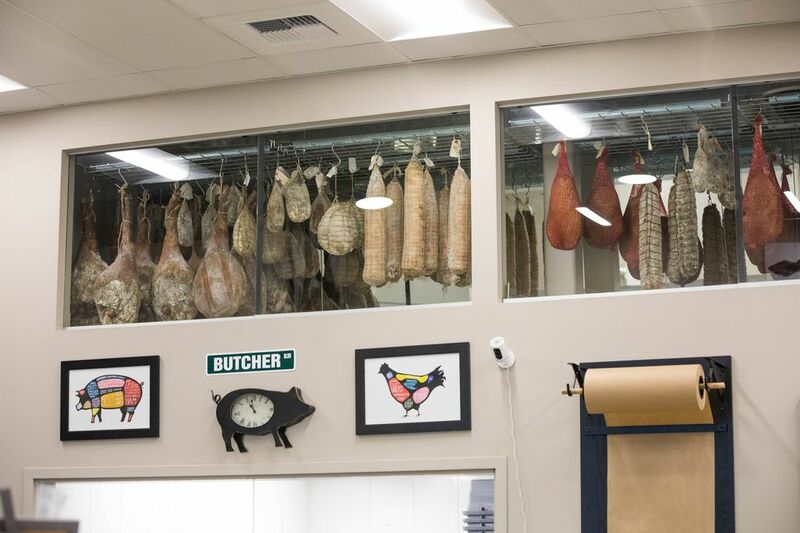 The Anchorage location is focused on retail and specifically charcuterie, which includes a variety of prepared meat products like salami, sausage and pate. Nate Burris, 49, is the mastermind behind the charcuterie. Burris got into the meat industry when he took a job working the meat counter at a grocery store in Oregon while in college. It paid well and he found himself making a career out of it, moving to Alaska in the early '90s. He said he's always been fascinated by the process of curing meats, but he didn't get serious about it until 2009, when he met Francois Vecchio, a distinguished salumiere (a person who specializes in making cured meats) and a self-described "poet of pork." Vecchio had retired in Alaska and for years spent time trying to develop an artisan meat industry in the state. "He filled in the gaps I couldn't figure out," Burris said. Burris' love of charcuterie stems from a desire to be more economical with the product. He admits people want the high-end cuts like rib-eye steaks and filet mignon. But what do you do with the rest of it? "Ninety percent of people want 10 percent on the animal," he said. "To make it work, you have to figure out how to move the rest of the animal." 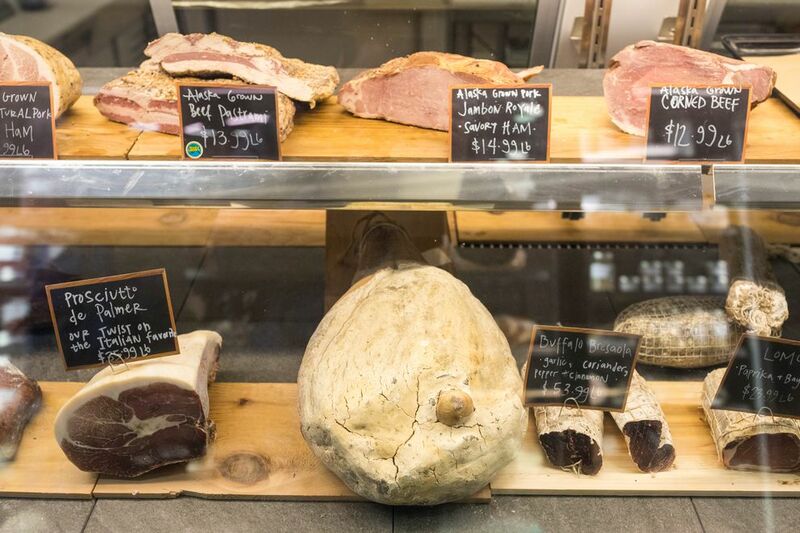 About 60 percent of the meat for sale at Butcher Block 9 is local — the beef is sourced from Misty Mountain Farms in Delta Junction and the pork is from the Van Wyhe Family Farm in Copper Center. Nearly all the charcuterie is made from local livestock. In Alaska, certain products, like poultry, are not commercially available in large enough numbers for the store to stock. Lamb, buffalo and elk are also hard to come by in quantities large enough to sell. "Our goal is we want to broaden the base," DeAnn Burris said. If anything, the Burrises see places like Butcher Block No. 9 helping to develop the meat industry in Southcentral Alaska. "If we create a legacy, it's that we create sustainable food in our state," he said.